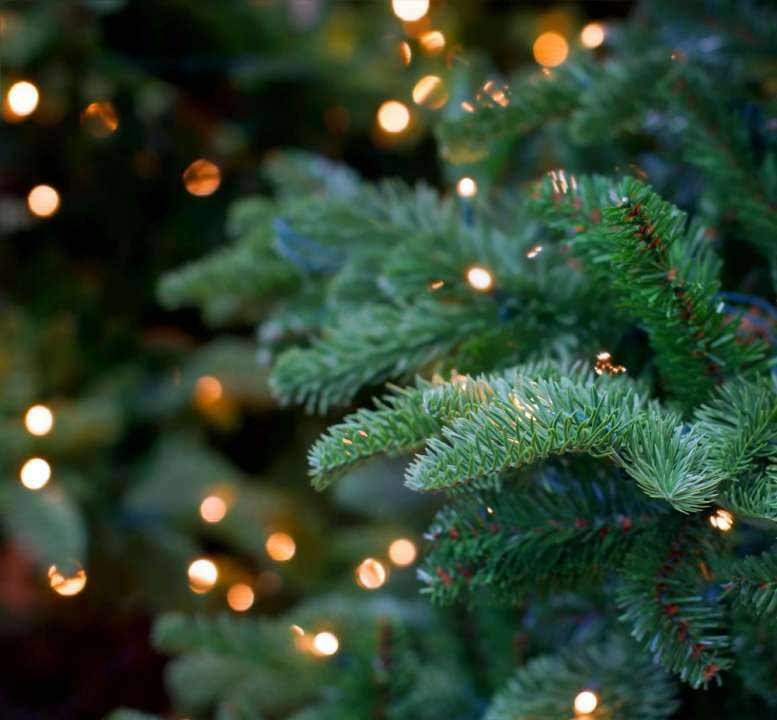 When it comes to Christmas trees near Durham, many customers know exactly what tree type they want to have any given year. This means we have to grow a big variety of popular Christmas trees in our nursery every year because we take pride in satisfying our customers with their exact preferences as much as we can. Our natural Xmas trees near Durham will increase your Christmas festivities many times over! Our love for Christmas is demonstrated in the care we give to the Christmas trees we grow and the joy they give us in return. To make our customers’ holiday season extra special, we start our display of all natural Xmas trees in late October. November is the perfect time to pick a Christmas tree that would take time to soften but most of them are sold in December because the British nation prefers trees that often do not stay stiff for long. We are particularly fond of the Blue Spruce for all the right reasons. It comes with needles that can maintain their stiffness for weeks, which means you can get it in weeks ahead of Christmas Eve and it will still look fresh during the parties. It also has this dark blue shade that works perfectly to highlight your decorations. Since a lot of our customers often want a real Christmas tree that can easily fit into their rooms, we grow a lot of Fraser Firs for the occasion. They have thin bases and stems and can be put into small rooms as well. They come in a dark green hue and its needles can stay stiff for a couple of weeks. We also grow Britain’s favourite, Norway Spruce, among our natural Xmas trees near Durham. The tree also comes in a dark green tone that is also somehow bright. The needles also have a sweet light fragrance, but they soften and fall fast, which is why we sell these quite close to the actual day. The reason we call our Christmas trees near Durham the best in the region is not because we are growing any unique tree types. It is because we have a wide variety of them and we grow them in our nursery with special care. We use our choice of soil, fertiliser, and feed to nurture these beautiful trees and, in case we run out of our stock, we make sure the trees we then supply to our customers are also naturally-grown and are real Christmas trees. Perhaps you do not enough space for a Christmas tree, but have you considered hanging baskets? They can also bring the wonderful Christmas spirit to your home. Our staff in the nursery is full of experts in the business. They can help you find the perfect Christmas tree near Durham within your budget and little time. Visit us this winter for your Christmas tree and double the celebration!